It’s been a busy year for Nokia so far, and our favourite Finnish phone maker isn’t letting up just yet. At an exclusive event held in London on Thursday 4 October, the Nokia 7.1 was unveiled in all its glory. So without further ado, let’s lift the lid on the new Nokia’s best bits. The 7.1 has a metal (series 600 Series Aluminium, since you ask) and glass build - and with attractive diamond-cut edges, it really does look like a premium piece of kit. Super-tough Corning Gorilla Glass 3 surrounds it, making the 7.1 impressively damage and scratch resistant. The screen goes all the way to the edges of the handset, and yes, the 7.1 is one of many new smartphones sporting a notch on top. It’s where you’ll find the front-facing camera and speaker. The 7.1 has a dual lens main camera, consisting of a primary 12MP lens and secondary 5MP lens to give you that bokeh effect we know you all love. Once again, Nokia has teamed up with ZEISS Optics for their lenses, so expect great looking photographs in both light and dark conditions. The 8MP selfie camera looks interesting. It’ll be using AI-powered facial recognition for all sorts of fun 3D effects like animated personas, filters and masks. The 7.1 is powered by a Qualcomm Snapdragon 636 processor backed up with 3GB of RAM. That sounds like a set up capable of delivery a smooth and speedy all-round performance. The 3,060mAh battery should give you a full day of use, and fast charging tech is also on board. According to Nokia, this is capable of charging the 7.1 up to 50% in a mere 30 minutes. 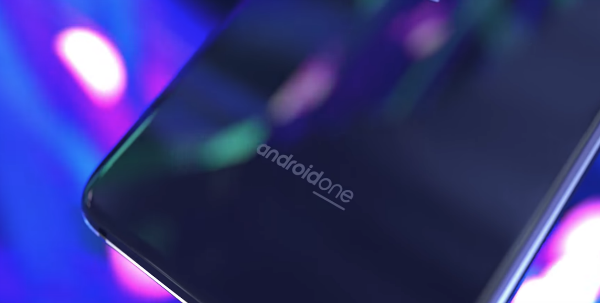 And just like Nokia’s other new smartphones, the 7.1 will be running Android One. This gives you a pure Android experience, fully endorsed by Google. That means you won’t have to wade through needless app, and you’ll get the warm and fuzzy feeling that comes from monthly security updates. Do you like the sound of the new Nokia 7.1? Then here’s the good news – you can order it from Carphone Warehouse right now, and get a free Bluetooth speaker worth £89.99!